In September, the Black Students United at Cornell University sent the school’s president a list of demands, one of which was startling, but only a little. We demand that Cornell Admissions to come up with a plan to actively increase the presence of underrepresented Black students on this campus. We define underrepresented Black students as Black Americans who have several generations (more than two) in this country. I found this and a great deal of other information about this matter at Legal Insurrection. You can read it all here. This attitude reminded me of a post I wrote last year about black African immigrants and American-born blacks – something about which I have a unique perspective. I thought I’d lost the post; apparently, at some point, I accidentally hit the delete button, but I retrieved it via the Wayback Machine and reposted on its original date and time. However, here it is again. The short version: neither the university nor white people in general can fix this. Today, on Social Media, I requested that my friends and followers submit writing topics to me. One of the suggestions was the difference between African immigrants and black Americans who are descendants of American slavery. I’ve glanced against the topic before, when making other points. Take everything we know about the history of Americans of African descent piece by piece. Our West African ancestors were sold into American slavers -- mostly at the behest of other black Africans. Upon arrival in America, they were forbidden under pain of death, to speak their native languages or use the names with which they had been born. Unlike all other immigrants to America, the African slave was forcibly cut off from these vestiges of the Old Country--essentially the slave became a new creation. The American descendant of American slaves is, thus, wholly and deeply American. 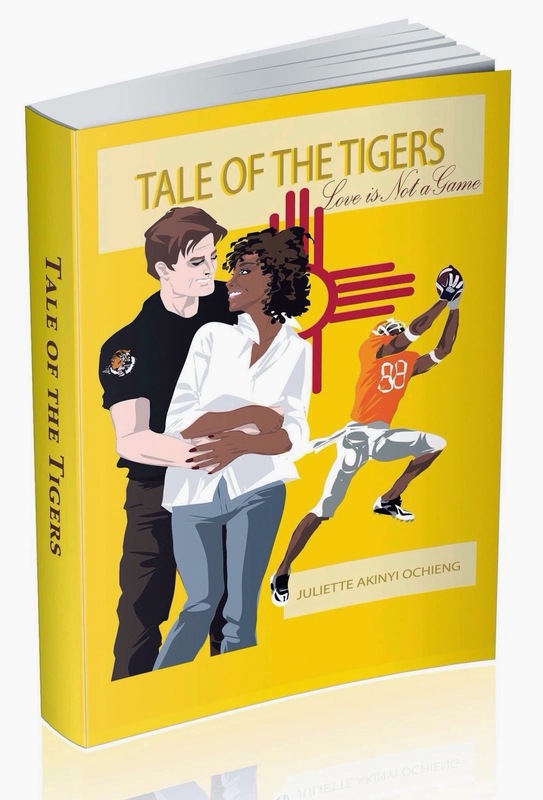 [N]ames, languages, family structures, belief systems (…) have buoyed all other ethnic groups—including recent African immigrants—in their sojourn to this country and all of them had the choice to hold onto the elements of their cultures that fit into the American ideal and discard those which were incompatible. American slaves were granted no such luxury. Our ancestors were emptied of their identities and re-created in the image of what America had for them. And, up until roughly fifty years ago, much of that image was molded by oppression and scorn. What we saw in New Orleans after Katrina was a microcosm of the character disintegration of this most American of Americans. It wasn’t born of DNA nor of the historical effects of slavery; it was born of the wholesale abandonment of a character tried and refined by fire and of the principles which held black Americans together in prior times of adversity. If mother and father don’t love child enough to at least try to create the most tried and true environment for the nurturing of that child, it follows that neither mother, nor father, nor child will love and respect neighbors or community. We declined en masse the prescriptions and proscriptions of God regarding the family and allowed government to usurp the place of the head of the family--the husband/father/leader/protector. We abandoned the identity which our forebears shaped for us and put chaos in its place. As is obvious and as one might be able to infer from my own heritage—being the 55-year-old offspring of an African immigrant to America and an American descendant of American slaves -- I’ve had plenty of time and reason to give the topic a lot of thought. I don’t think that many involved think through the circumstances far enough, which makes for a lot of animosity between black Africans and black Americans. All voluntary immigrants to America represent the go-getters among their number. It takes uncommon intestinal fortitude to get up and leave everything one knows in order to chase a dream in a foreign land. The birthplaces of all voluntary immigrants provide qualities to be measured. The qualities in question are: life, liberty and the pursuit of happiness. America almost always wins this measurement contest. Aside from those observations, there are others to consider. 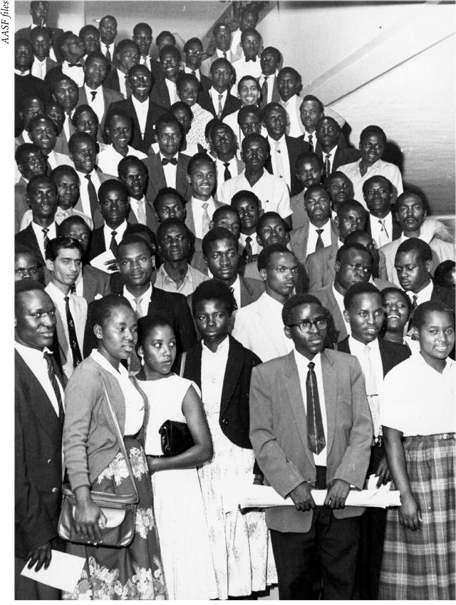 Mboya Airlift students; I have not been able to pick out my father among them. Attribution. But, subsequent to the Mboya Airlift, the restrictions on black African and other non-Western European immigration were eased in 1965. The timing is significant and is the point of this singular observation. African immigrants are indeed the go-getters from among their fellows, but they also began to arrive in America at the right time—when race was becoming less of a factor for all Americans and legal residents who were willing to grab hold to the American dream. One might also note that the moral and societal re-enslavement bait to black Americans was cast at roughly the same time. Here’s something which just occurred to me today: the underlying assumption that black Africans should be similar in ability and behavior to black Americans is that black African heritage confers a DNA-level inferiority on all of us as compared to other groups. If it were true that black African-descended persons were genetically inferior to other groups, then it would not matter that African immigrants were the go-getters from among their various tribes. They would still tend to display intellectual inferiority to other immigrants and, indeed, be intellectually inferior to black Americans, since, roughly 80% of black American descendants of American slavery -- including me -- have some European heritage. It isn’t just Asian Immigrants Who Thrive in the U.S. According to Census data, more than 43 percent of African immigrants hold a bachelor’s degree or higher -- slightly more than immigrants from East Asia. Nigerian immigrants are especially educated, with almost two-thirds holding college degrees -- a significantly higher percentage even than Chinese or South Korean immigrants. African immigrants are also very likely to hold advanced degrees, many of which are earned at U.S. universities. By many measures, African immigrants are as far ahead of American whites in the educational achievement as whites are ahead of African-Americans. I have repeatedly pointed to the grave damage done to black Americans by the Great Society Programs and all of its evil progeny, but here’s the one which I believe is the most significant: lack of identity. Most things labelled as identity are extremely dangerous, and feed on hatred of other identities, but, as I pointed out in my essay about Japan and New Orleans, the dearth of a core identity is just as dangerous in that pointless and evil identities are waiting to fill any such voids. Africans and all other immigrants come to America with their core selves intact and that is what drives most of them, in my opinion. That core self is often culturally-based, but it has an even more important foundation: family honor. Do I need to go on—again--about what has happened to family honor among the vast majority of Americans who are black? I didn’t think so. Create a family, be loyal to and accountable to it. That's what pushes our African immigrant friends further than almost all others. And, it's a solution which we can fashion for ourselves. That goes for all Americans...at least for now. Seize the Time. Every Tuesday and Saturday, I blog at the award-winning DaTechGuyBlog. Latest: Feeding the Brimstone.